Which Greek island is best for couples? Home » Blog » Which Greek island is best for couples? The simple answer is all of them. having travelled as a couple to many of the islands we’re yet to find a bad one. This is because the Greek islands are the ideal place for a couples holiday. The Greek islands offer a wide range of places to stay from traditional little villages to built up tourist towns, they have high end hotels, villas to rent and basic apartments so are suitable for all tastes and budgets. You can choose to stay in self catering, bed and breakfast or all inclusive, the possibilities are endless. Most islands have relaxing beaches and historical sites to wander round for the days and plenty of restaurants for a nice evening meal, many with spectacular views of either the sea, the mountains or both. The Greek islands are easy to get to, with Corfu being just 3 hours from the UK and flights are available from most major UK airports so you wont have to waste hours of your couples holiday travelling. We genuinely believe you could randomly pick an island and you’ll have a great time. Seriously, just pull up a google map of Greece, print it out, pin it to your dartboard, chuck a dart and see where it ends up. But, for those that don’t want to leave their holiday destination to chance, we’ve set out a number of headings to guide you depending on what type of holiday you and your partner are looking for. If you’re looking for a romantic get away then the best Greek island for you is Santorini. It has the most weddings and honeymooners for a reason, it’s a gorgeous volcanic island and it’s hard not to fall in love with the place. The whitewashed buildings stuck to the cliff side are what postcards were made for and the typical holiday brochure shots were all taken here. We recommend getting an apartment or a seat at a restaurant that has a Caldera view and watching the sunset with a nice bottle of local wine, just remember to book early as you wont be the only ones with this plan in mind. 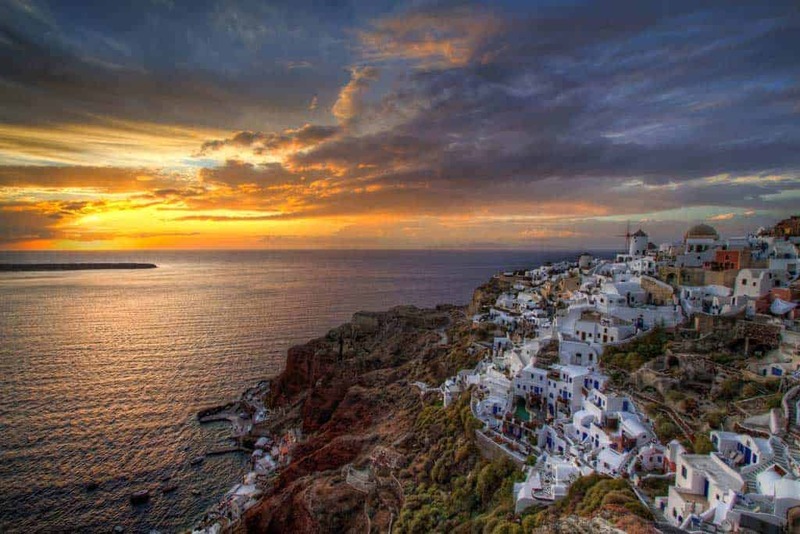 Check out our pages on Imerovigli, Oia and Fira as these towns all offer great views and plenty of places to stay as well as lots of Caldera side restaurants. So, you’re a couple that loves spending the days on the beach, whether that’s 8 hours a day reading and topping up your tans, building sand castles and playing bat and ball or even getting a couple of jet skis and chasing each other around, the island with the most consistently good beaches is probably Skiathos. Skiathos offers over 60 sandy beaches ranging from completely organised and full of tourists to off the beaten track secluded. Check out Koukounaries Beach in the south west for rows and rows of sunbeds, beach bars, water sports and golden sand as far as the eye can see. Alternatively, check out Elias Beach on the north coast for a quieter more relaxed day out. Skiathos also offers a decent evenings entertainment in the main town, there are bars, a couple of small clubs and plenty of restaurants and tavernas. Your best bet is to sit by the harbour and watch the world go by whilst sipping a nice cocktail or two, or three. 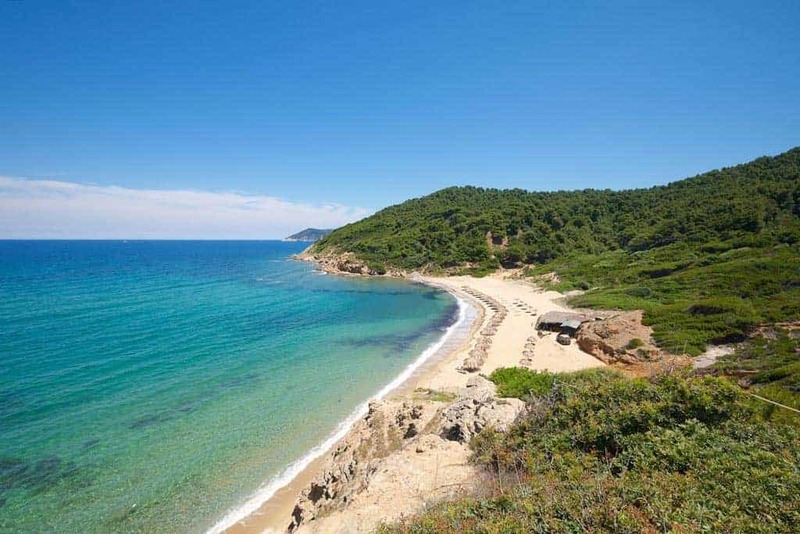 If you’re looking for a quiet, relaxing and unspoiled Greek island with lots of nice beaches for you and that one special person then you could do a lot worse than looking at Thassos. Thassos is the most northerly Greek island, it’s in the Aegean sea and offers exceptional beaches, traditional villages and a warm welcome. There’s not a massive amount of history or site seeing to do on Thassos but if you don’t like the crowds of Santorini or other popular islands then this could be a better choice. 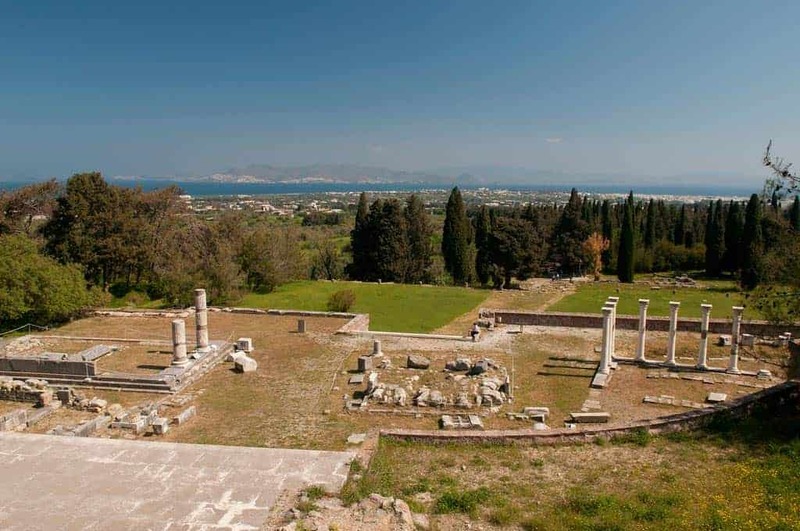 There are many islands with historical sites so if you enjoy learning about the history of the island you’re visiting then the islands we would recommend would be both Kos and Rhodes, Kos has a number of sites from the Asclepeion where Hippocrates taught medicine, to the ancient agora, the Hippocrates Tree and Neratzia castle all in Kos town. Rhodes has the gorgeous old town where you could spend days walking round and still not see everything. There’s also the acropolis of Lindos which is thousands of years old and also the ancient city of Kamiros. There’s also a number of smaller islands that have ruins or old castles that you can visit. These can often be visited as a day trip from the main islands or you can base your entire stay there. If you’re that bit older, maybe with some mobility issues or perhaps your energy levels are not what they used to be then whats the best Greek island for you? Well first off, there’s nothing other than hills or uneven ground stopping you from enjoying any of the Greek islands, just research the places your thinking of going to and check the photos to see what the environment is like. 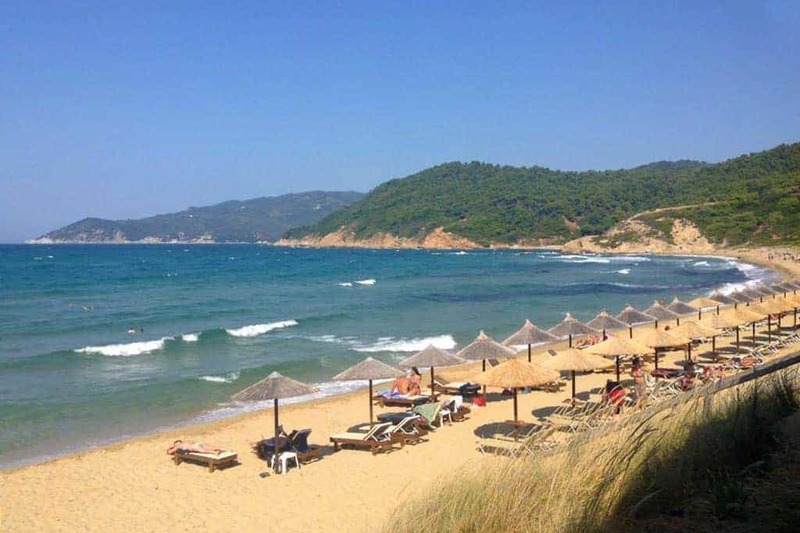 One great island is Thassos, the capital Limenas is pretty flat, it has a heap of great restaurants and bars where you can enjoy some local food and drinks as well as a few good beaches nearby that are easily accessible. The only issue with Thassos is the travel to get there as there’s no airport so you’ll need to fly into Kavala and then get the ferry over to Thassos. Another choice for older couples is Roda in Corfu, it’s another resort that doesn’t have too many hills but also has plenty to keep you entertained in the evenings with delicious food and drinks as well as some good hotels too. Lastly, why not look into Tigaki in Kos, it is another flat resort, it has a single main road that runs straight down the middle of the resort and culminates at the coast with a huge sandy beach where there are many bars offering table service so you wouldn’t even have to get off your sun lounger to top up your Mythos. Tigaki also has tons of good restaurants for your evening meals and entertainment.